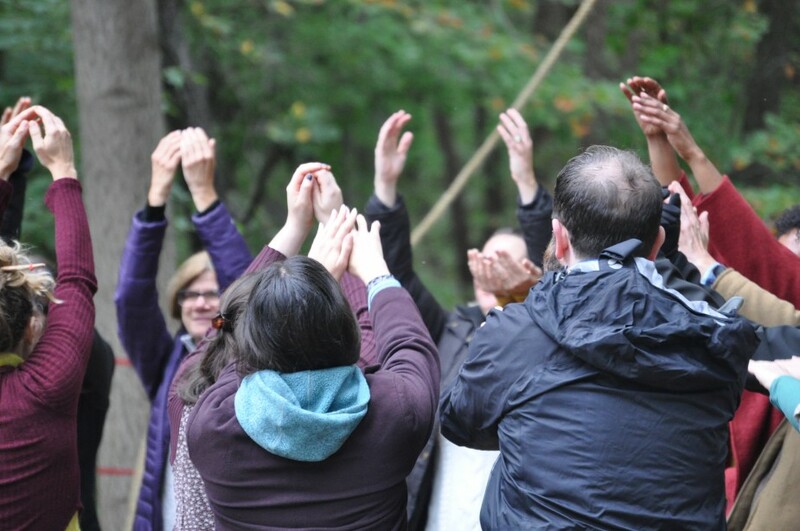 Over this past year, I have been working with the Schuylkill Center as part of their LandLab Residency program to address an environmental challenge through dancemaking and community participation. 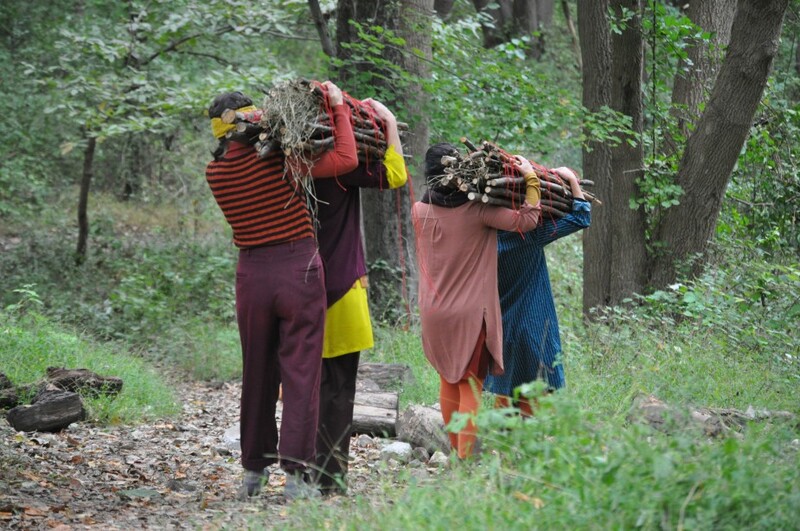 On our first research walk at the center, I noticed several large bundles of sticks being used to slow waters movement across the land and to collect debris that might otherwise end up in the Schuylkill River. We learned that these curious bundles are called fascines. I was struck by the fact that each stick individually does very little on its own; it is the aggregate of them that holds the strength and ability to slow and divert the powerful force of water. As part of the walking and performance tours we shared at the Schuylkill Center, we built a loom with designer Zeke Leonard to create large weavings of sticks and native plants. These were then rolled, bundled, and carried on our shoulders as audiences followed us in and through the woods. We placed the fascines in areas impacted by increased storm occurrences due to the warming climate; they will help slow the water that is cutting through and eroding the land. The fascine has been useful to consider as we reflect on the times we live in, and our response to a changing planet. We know that strength can be found in the the ways we come together, that this will require us to slow down at times, and that our collective action can move us in directions that offer resilience and strength to each other and our communities. As you view the fascines in the CFEVA gallery or on the Schuylkill Center’s grounds (along the Fox Glen Trail), we invite you to reflect on a moment in your own experience when the coming together of many has offered the resilience and strength to move in new directions. 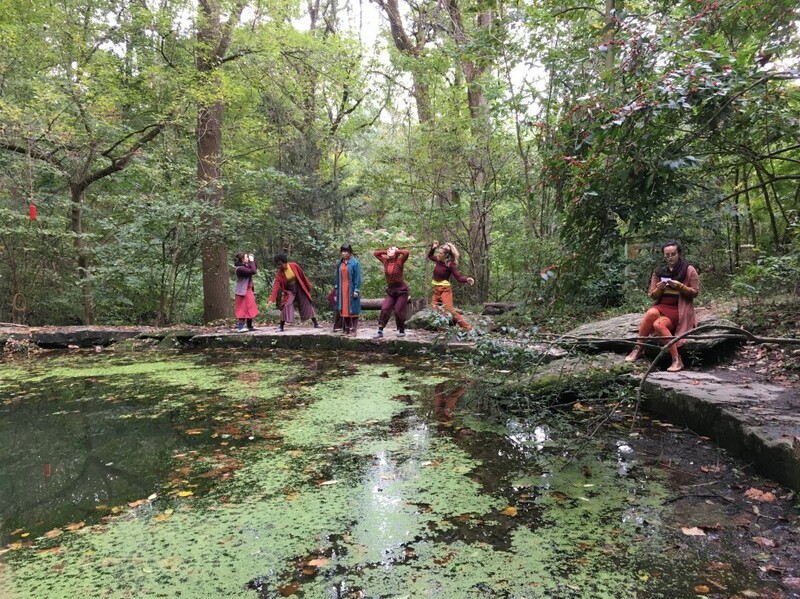 Remembering Water’s Way was the culmination of a year of research and art making with Dance Exchange and communities connected to the Schuylkill Center as part of the LandLab residency. The artists led a series of animated hikes on our trails that connect participants to local ecology and reflect on the ways that water shapes our lives. 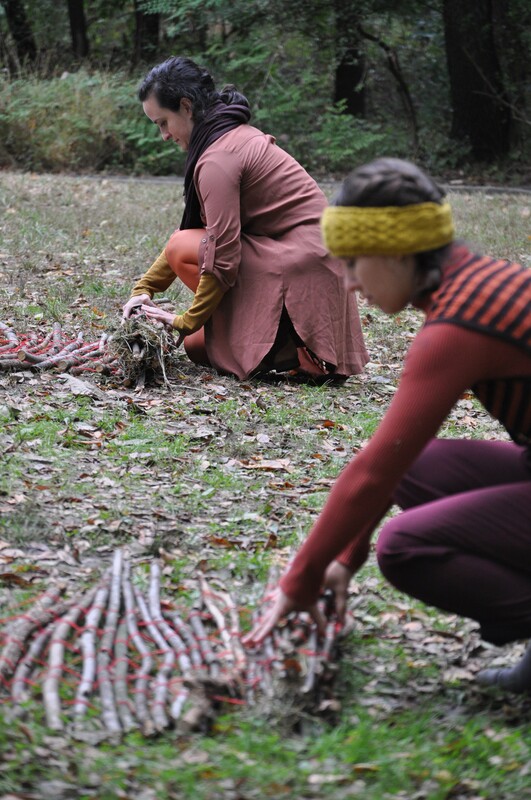 These hour-long experiences wove together performance, installation, science engagements, and other opportunities, surfacing concerns and questions about the Schuylkill River and local waterways, and contributing to our understandings about the impacts of climate change on the region. The project was led by choreographer Cassie Meador in collaboration with Christina Catanese, Elizabeth Johnson, Zeke Leonard, Marcie Mamura, Sarah Marks Mininsohn, Talia Mason, Jamē McCray, and Kelly Mitchell. Watch a video documenting the project here. About the author: Cassie Meador is a choreographer, performer, educator, writer and Executive Artistic Director of Dance Exchange. Her works have tackled numerous social and environmental issues, like How To Lose a Mountain, which reflects on a 500-mile walk Meador took from Washington, DC to a mountaintop removal mining site in West Virginia to trace the impacts of the energy that fuel her home. Meador’s Moving Field Guides, an interactive outdoor experience led by artists, naturalists and regional experts in ecology, is being implemented nationwide in partnership with the USDA Forest Service. Meador has taught and created dances in communities throughout the U.S. and internationally in Japan, Canada, England, Ireland, and Guyana. She has worked with the Girl Scouts to enhance environmental curricula through the arts. 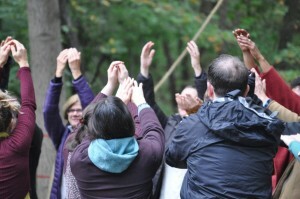 Her work with Wesleyan University’s College of the Environment has influenced educators and students to embrace a cross-disciplinary approach to conservation and environmental education. 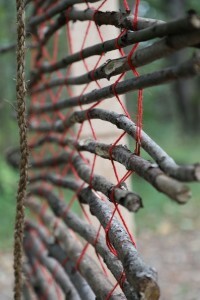 This entry was posted in Environmental Art, Land Stewardship, LandLab, Nature. Bookmark the permalink.